Top Animation News: F is for Family, Oscars, Lee Unkrich and more! Top Animation News is a weekly column that rounds up the biggest, best and breaking stories from the animation industry. This edition covers January 18 to 25, 2019. It was announced this week there will be a F is for Family season four on Netflix. The American streaming giant has been investing heavily in adult animated comedies, including 2D series like BoJack Horseman, Disenchantment and Paradise PD. Starring Bill Burr, Laura Dern, Justin Long and Sam Rockwell, F is for Family's 10-episode fourth season will debut in 2020 and is being produced in in Toon Boom Storyboard Pro and Toon Boom Harmony animation software. 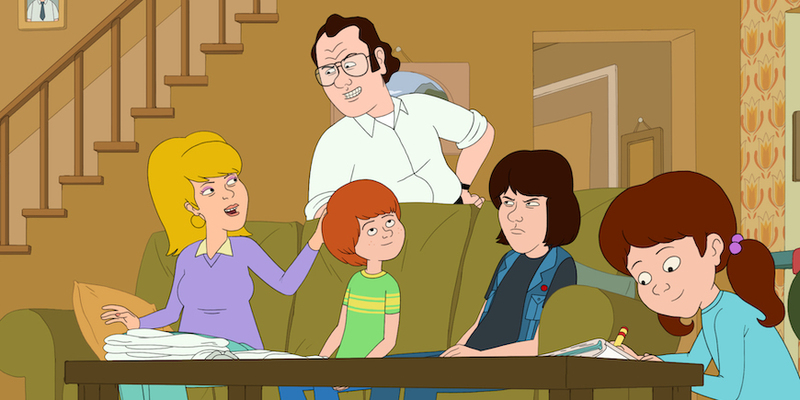 Dig into the F is for Family season four renewal details on “The Hollywood Reporter". With 2019’s awards season in full swing, the entertainment industry’s biggest night is nearly here: the 91st Annual Academy Awards (February 24). Colloquially known as the Oscars, this year’s nominees were announced earlier this week. In the Best Animated Feature Film category are Incredibles 2, Isle of Dogs, Mirai, Ralph Breaks the Internet and Spider-Man: Into the Spider-Verse, while Animal Behaviour, Bao, Late Afternoon, One Small Step and Weekends filled out the Best Animated Short Film roster. See the full Oscars 2019 animation nominations write-up on “Cartoon Brew”. Delve into Lee Unkrich’s Pixar departure on “The Hollywood Reporter”. Fans of hit reality television series RuPaul’s Drag Race should ‘toon’ in to Super Drags on Netflix. The LGBT-focused adult animated comedy follows three superpowered drag queens and is produced by Brazil’s Combo Estudio in Storyboard Pro and Harmony. “Super Drags was our first time working on Storyboard Pro and the integration with Harmony was very helpful. 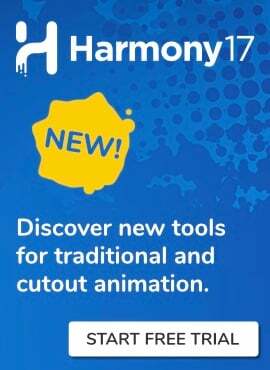 In terms of 2D rigging, Harmony is the best software we have worked with,” says Marcelo Pereira, executive director of Combo Estudio. Sashay into the Super Drags production process on the Toon Boom blog. France’s Academy of Cinema Arts & Sciences announced the 44th César Awards nominees. In the Best Animated Film category are Asterix: The Secret of the Magic Potion, Dilili in Paris and Pachama; competing for the Best Animated Short Film prize are Between the Shadows, The Death, Dad & Son (La mort, père et fils), Wicked Girl (Vilaine fille) and Raymonde or the Vertical Escape (L’évasion verticale). The 2019 César Awards will be held on February 22 at the Salle Pleyel in Paris. Head over to “Animation Magazine” to see the trailers for the 2019 César Award animation nominees. After taking in over $7 million domestically on its opening night last week, Funimation’s Dragon Ball Super: Broly went on to earn more than $24 million within five days of its premiere. This makes it the third-highest earning anime ever in the United States. It also landed in the top three of the American and Canadian weekend box office, and currently holds an impressive 82 percent on film-rating platform “Rotten Tomatoes”. Catch up on all the Dragon Ball Super: Broly box office details on “Gamespot”. More animation industry news below! The $187-million Malaysia animation industry is booming and Digital Durian is one of the studios driving its growth. The Cyberjaya-based production company has racked up billions of views on YouTube for its flagship 3D animated preschool programs, Didi & Friends and Omar & Hana — both storyboarded in Toon Boom Storyboard Pro. As it expands globally, Digital Durian needs more artists trained in the industry-standard preproduction software to meet growing demand. Learn more about Digital Durian’s animation jobs on the Toon Boom blog. Lighthouse Studios, the Irish full-service 2D animation studio formed as a joint venture between Cartoon Saloon and Mercury Filmworks, has announced Claire Finn as its new managing director. She will help the company grow its development commitments, expand production projects and increase its global service-work clientele, focusing on high-quality children’s and family animated content. Finn’s arrival coincides with Lighthouse Studios wrapping production on Bug Diaries, a cartoon produced for Amazon in Toon Boom Storyboard Pro and Harmony animation software. Find out more about Claire Finn’s role at Lighthouse Studios on “Animation World Network”. After a massive season-five finale, Steven Universe fans were given another gift by Cartoon Network: a teaser for Steven Universe: The Movie. Series creator Rebecca Sugar made the announcement at her San Diego Comic-Con panel and the first sneak peek hit the web this week. The Steven Universe production pipeline includes Toon Boom Storyboard Pro. Watch the teaser above and read more about Steven Universe: The Movie on “Polygon”. Montreal-based Sardine Production’s kids cartoon Chop Chop Ninja (see how it was produced in Toon Boom Storyboard Pro and Harmony animation software) will soon be seen across Southeast Asia, Italy, the Middle East and Africa. Nickelodeon International has picked up the Canadian children’s series, which originally premiered on Corus Entertainment’s Teletoon English and French channels in October. Chop Chop Ninja was animated in tandem with a web game produced by Gamerizon, also using Toon Boom Harmony. Visit “Kidscreen” for more on Chop Chop Ninja going global. The creators of Baby Shark, the viral children’s live-action-animation hybrid singalong with over 2.1 billion YouTube views, are rumoured to be in talks with Netflix. Pinkfong, the South Korean company behind the catchy children’s content, is reportedly in talks with the streaming giant to do a cartoon series. However, a spokesperson for the studio is denying the claim, so fans will just have to wait and ‘sea’. Swim over to “USA Today” for more on the Baby Shark x Netflix rumours.